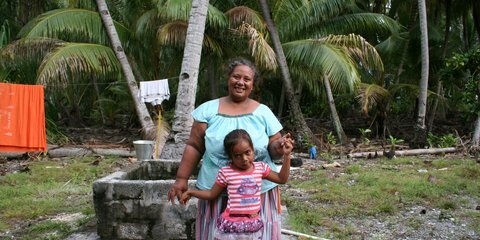 Three months after Tropical Cyclone Pam swept across the Pacific, Red Cross is intensifying its efforts to ensure people have increased access to safe water during the regions dry season. 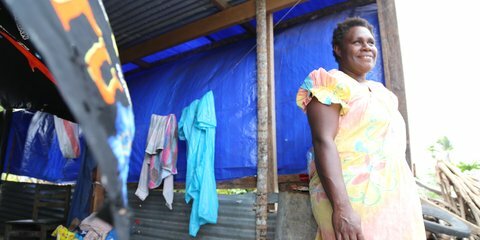 It has been one month since Tropical Cyclone Pam tore through Vanuatu, destroying homes and livelihoods and causing extensive damage to the environment. 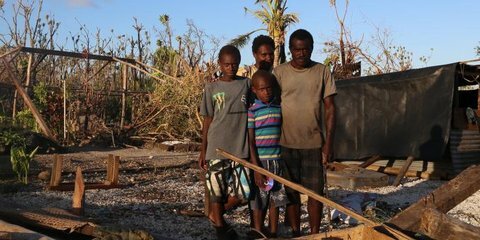 An estimated 166,000 people were affected in Vanuatu with 75,000 in need of shelter and more than 100,000 requiring clean drinking water. 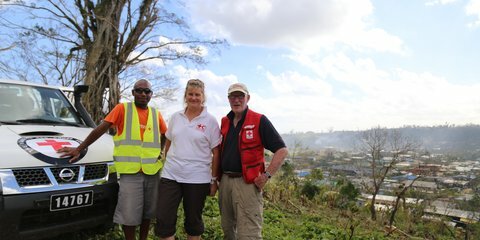 Following Tropical Cyclone Pam's devastation of Vanuatu, Kiwi Red Cross aid worker Douglas Clark joined the relief effort. 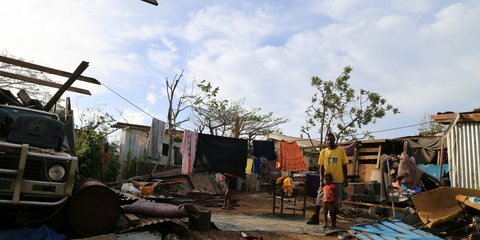 Here he describes a day in the life of a disaster response delegate. Flying into Port Vila, the capital city of Vanuatu, the damages are striking. What usually looks like a lush green tropical Pacific island now looks barren and brown. 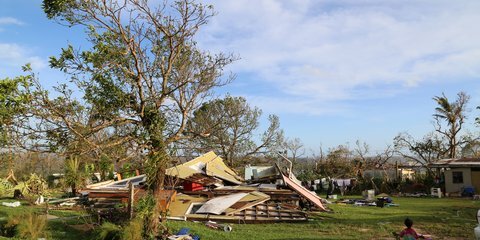 Trees have been stripped of their leaves, and most of the houses which are still standing have lost their roofs. 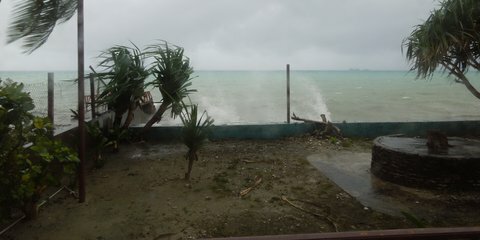 A state of emergency has been declared in Tuvalu following tidal surges caused by Cyclone Pam, destroying houses and crops.